Kinder Little Town first opened in Monterrey, Mexico in 1991. Extensive experience from its founders instigated the creation of an educational institution focused on stimulating all the important and necessary areas for child development. Little Town quickly became a local leader in early childhood development and opened a second location for its 200 students. Little Town has developed its own educational methods based on the idea that all human beings have unique and particular needs based on their stage of development. Our educational method places large emphasis on biligual early childhood education. There are few eduactional opportunities that offer the quality of Little Town. There is currently a tendency to iniciate educational centers without proper preparation. Through franchising, Little Town shares its success with individuals interested in offering an early childhood educational program of quality, as it expands across national territory. Little Town has been fostering a unique and creative program designed for 1-4 year olds for over 20 years. Today we are helping entrepreneurs interested in early childhood education lauch a successful program designed to develop cognitive, fine motor, gross motor, language and social skills through play. We provide an educational program designed specifically for age-appropriate activities where children can safely explore, move and play. Little Town has been fostering creativity in children ages 1-4 for over 25 years. Our early childhood program has recognized Little Town as a leader in the local community developing cognitive, physical and social skills as children learn through play. The Little Town program has proven to be a success in other cities across the country as it continues to grow and offer great educational opportunities in new communities. By opening a limited number of franchises every year the Little Town Franchise Staff works with each franchisee closely to stimulate economic growth and adapt to cultural norms in new locations. Our staff of experienced professionals will support your needs in program, operations, marketing, teacher training, personnel and more on a local basis. Continual support to our franchisees allows each of them to maintain a high standard educational program. Mandatory training will be provided by Little Town when initiating the franchise, as well as annual training to update all franchises. Little Town also provides optional on-site training and as needed basis. Our class curriculum is developed by our program director to fulfill all important areas of early childhood development. Little Town trains staff to respect and support each child's unique rhythm of development. The Little Town programs encourage parent involvement–which nurtures participation and understanding of each child's development. We provide a positive environment where children can play, learn and explore safely. Little Town has designed spaces that maximize stimulation and learning. 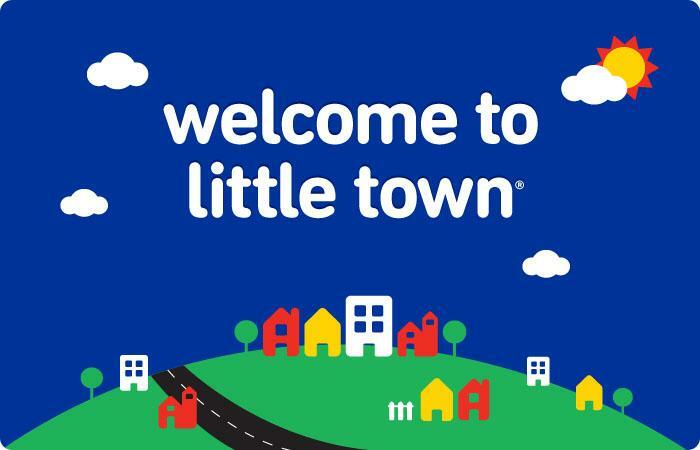 Little Town establishes an interactive environment where children build socializing skills with children their own age to develop self-confidence and independent thinking. Little Town is an exciting business opportunity for entrepreneurs who want to develop a professional career in a flexible and independent environment. Most of our franchisee partners are women who balance family responsibility and a challenging work environment. Our franchisees come from diverse working backgrounds such as: business executives, teachers and system engineers. We look for entrepreneurs who are passionate about education and running their own business. Skills in customer service, marketing, people management and financial administration will help you succeed. If you are interested in a Little Town franchise we will train you in a variety of challenging areas to help you develop a successful early childhood learning center.